You might see a combination of the terms ‘fastboot mode’ and ‘bootloader mode’ during the guide. That’s because the two terms both have the same meaning. There is no difference to booting the device in the fastboot or bootloader modes. The hardware keys as the keys you probably know simply as ‘keys’ on your device. They are the same keys you likely see and use everyday. Most devices let you enter every mode possibly via a key combination, but that key combination is not so simple as to result in accidental mode entering. Start by holding in the Power button until you know the device is completely off. Press the Volume Up and Volume Down buttons together at the same time and do not let go until you read the next step. With the Volume keys pressed down, press the Power button just once and then let go of all three buttons together. When done correctly, you should see the bootloader mode screen on the display. That explains how to enter fastboot mode on Motorola Moto X Play using the hardware keys. Now lets take a look at using the Android SDK. Download and install Android SDK by following this post: How to install ADB and Fastboot on Windows for use with Android . Enable the USB Debugging Mode on the Moto X Play smartphone since you are connecting to the computer. You can find that option by heading to the Settings > Developer Options > USB Debugging and making sure the box is checked for that option. Connect the Moto X Play to the computer using the USB cable. Open the folder where you have ADB and fastboot. Hold down the Shift key and right-click the mouse on an empty area within the folder. Choose the “open new command windows here” from that menu you’ll see on the display. Now type the following command into the command prompt: “adb reboot bootloader”. 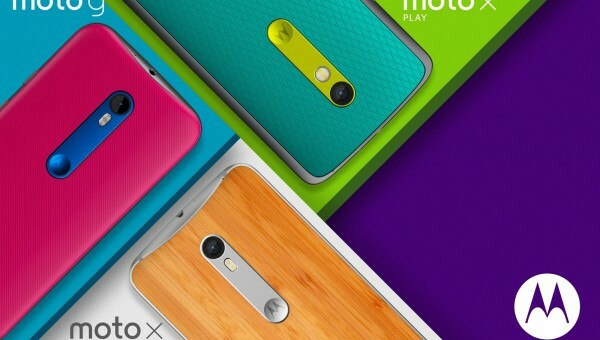 The Moto X Play will now boot in the bootloader mode. Those of you with root access on the Motorola Moto X Play  smartphone can install an app to reboot the device in bootloader mode. Head to the Google Play Store and log in to your Google account. Search for the Quick Boot app. Download and install that same Quick Boot app and open it up from your app drawer. Once you are inside the Quick Boot app, you’ll see the option to reboot the device in fastboot/bootloader mode. Now that you know how to enter fastboot mode on Motorola Moto X Play devices, there shouldn’t be any problem installing updates, getting root access, or doing any number of tricks to your device. You should always use the hardware keys first, since that method is the easiest. However, some guides ask you to type commands using ADB, in which case it’s also easy to type the command to enter fastboot mode if you already have ADB and fastboot from the guide you are following.